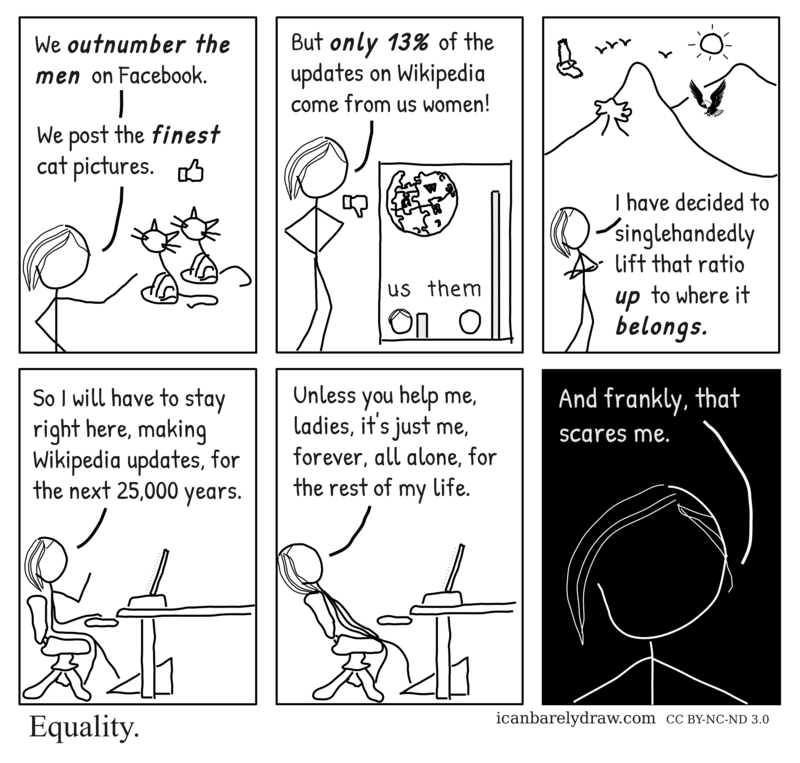 According to the actual statistic from 2009, 13% of Wikipedia contributors are women. The Cartoonist has taken some artistic license. Woman: We outnumber the men on Facebook. Woman: We post the finest cat pictures. Woman: But only 13% of the updates on Wikipedia come from us women! Woman: I have decided to singlehandedly lift that ratio up to where it belongs. Woman: So I will have to stay right here, making Wikipedia updates, for the next 25,000 years. Woman: Unless you help me, ladies, it's just me, forever, all alone, for the rest of my life. Woman: And frankly, that scares me.